Is Northern England really the most haunted part of the UK? Sheffield lays claim to have more ghosts per mile than any other English city – and yet York claims to have over three hundred ghosts within its walls. Whatever the truth, Greater Manchester, Cheshire, Cumbria, West Yorkshire, North Yorkshire and Northumbria are truly haunted lands. Here is my guide to 50 Most Haunted Places in North of England. 2. The Ghost of a simpleton named Goosey, haunts the area between Ruswarp and Sleights in Whitby. He got his name by accepting a wager to eat a whole goose at one sitting, and won. He was subsequently murdered. 3. In the House of Bewley, Eastgate Street, Chester, wailing from the first floor and storeroom has alerted staff and customers alike. The ghost known as Sarah, switches lights on and off and doors mysteriously open themselves. 4. Be careful in Lyme Park in Cheshire where occasionally a phantom funeral procession is seen proceeding a small hill, known as Knight’s Low. 5. Haunted by the ghost of two children, at Farndon Bridge their screams can be heard on rainy nights. 6. Dressed in a tweed jacket, brown knickerbockers and a cloth cap, the ghost of The Royal Hotel in Hoylake, Cheshire was seen by Harry Price, a psychic investigator of the 1920’s. 7. The ghost of a little distraught girl, a harbinger of death to the Cotton Family, has been seen several times at Combermere Abbey in Cheshire. 8. Carlisle Castle built in the 11th century and the jail of Mary, Queen of Scots, holds a mysterious ghost that once appeared to a soldier in 1842. When he lunged at the figure with his bayonet, it disappeared. The soldier died several hours later of shock after telling his comrades what had taken place. 9. Situated on the banks of the River Eden, Corby Castle is haunted by a ghost known locally as The Radiant Boy, said to be a beautiful-looking boy, clothed in white, with bright locks of hair. 10. There are several ghosts at Levens Hall in Cumbria but the most famous one is that of the Grey Lady, who is thought to have been a gypsy woman who laid a curse on the family of the house. She has appeared in front of several motorists making their way to the Hall, and they had to brake suddenly or swerve to avoid hitting her, only to find when they got out of their cars that the Grey Lady had disappeared. 11. At the southern end of Maghull, Liverpool the sound of galloping horses and the clatter of soldiers’ accoutrements have been heard at dusk, and on several occasions the ghosts of headless soldiers have been seen. 12. 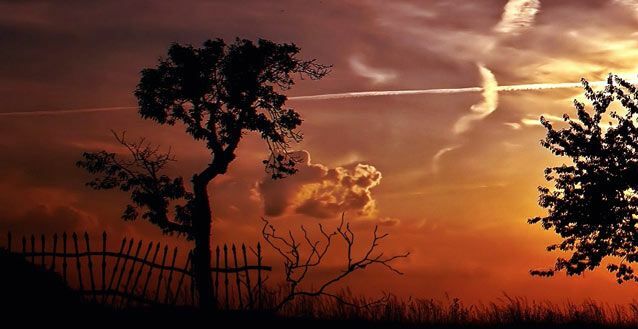 On Midsummer’s Eve, 23rd June, 1735, a farm labourer, working on a farm at Blakehills, Cumbria saw a column of ghostly troops marching from the north, across the eastern side of the Blakehills Fell. 13. The ghost of Jack Arthur has been seen many times in Spring Lane, Shotley Bridge at 7.30 am by people in the area at the time. In December, 1970, postwoman, Nora Conroy, had a strong feeling of being watched and then saw the figure of a young man, dressed in Victorian working clothes, standing no more than six feet away from her, at the spot where Arthur died, near the Snows Green end of the Lane. 14. Darlington and Simpson Rolling Mills in Darlington harbours the ghost of one of the workmen killed in the 1920’s when a cable railway collapsed. On one occasion, eight workmen actually downed tools as a protest against the continued visits of the ghosts. 15. Hylton Castle, which lies just three miles west of Sunderland, and is now cared for by the Department of the Environment, was said to have been haunted for three centuries by the naked ghost of the “Cauld Lad of Hylton”. 16. Washington Old Hall, Washngton, now owned by the National Trust, was built in the early 17th century on the site of an older building in which the Washington Family, ancestors of George Washington, had lived between 1183 and 1613. The phantom of a “Lady in a long grey dress” has been seen gliding along an upstairs corridor. She has been described as resembling one of the portraits which hang in the Hall. 17. The ghost of Mary Fitton haunts Gawsworth Hall in Cheshire, her dark figure, dressed in Elizabethan clothes, having been seen many times walking along the avenue to the Hall, from the main Macclesfield to Congleton road. 18. Marple Hall is haunted by the headless ghost of a figure thought to be King Charles I. In the 17th century, the Hall was owned by Henry Bradshaw, brother of John Bradshaw who had signed the King’s death warrant. 19. The ghost of Smithills Hall, Bolton is thought to be that of George Marsh, who was the Protestant Vicar of Deane in the 16th century. His ghost has been seen in recent years, walking through the upper part of the house. Smithills Hall is also said to be haunted by the ghost of a cat. 20. Burnley has a famous ghost dog, which normally haunted the area of the Parish Church and nearby streets, but on occasions it was seen on the other side of the town. 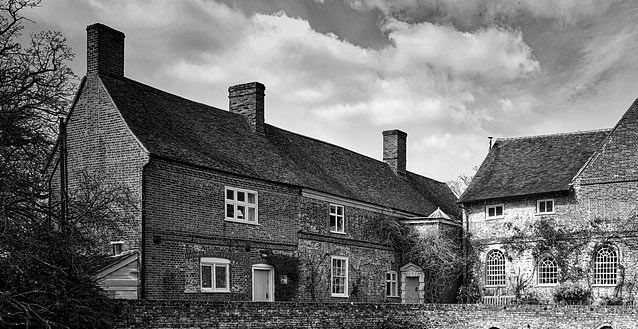 DOES BRITAIN HAVE THE MOST HAUNTED PLACES IN THE WORLD? 21. Punch Bowl Inn, near Clitheroe is haunted by the legendary highwayman, Ned King. Ned’s ghost has haunted the Punch Bowl for over 200 years, noises being heard in the corridors at the dead of night, moaning sounds coming from the direction of the old hay loft and the sound of bottles falling from shelves for no obvious reason. 22. Dixon Green Labour Club, Farnworth, Manchester is haunted by a ghost known as the Blue Lady, who has been regularly heard and seen in the club since it was built, after the original manor house on the site was demolished in the 1930’s. 23. In August, 1971, several residents of Lawrence Gardens, Liverpool reported seeing the figure of a policeman, dressed in old-fashioned uniform, wearing a tin hat and carrying what looked like a gas-mask case, making his way along the dark streets. 24. The figure of a Franciscan monk has been seen many times at Chingle Hall, Preston and also walking over the bridge outside. Footsteps have been heard in the same area and doors have been seen opening and closing by themselves. 25. For some years the Railway Inn at Rawtenstall, has been haunted by the ghost of a woman, known affectionately by the locals as “Jane”, described as being a tall lady, dressed in grey, who has been seen walking through guests’ bedrooms, and has even been seen passing through a partitioning wall. 26. Ghostly marching footsteps are said to be heard at Newton-le-Willows, Warrington during the month of August. It is thought that these sounds are the last few steps of Highlanders, fighting for the Royalist cause, who were caught and hanged on the spot by Cromwell’s troops, in August, 1648. 27. 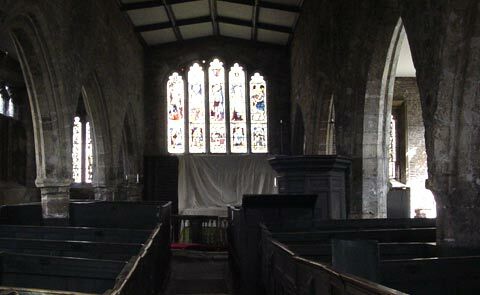 The St Peter and St Paul church at Caistor has long been reputed to be haunted by the ghost of a monk who enjoys playing the organ at night. In January, 1967, in an effort to squash the reports and put an end to rumour, the vicar placed a tape-recorder in the church one night and locked and sealed the church. When the tape was played the following morning, however, footsteps were heard walking through the empty church, followed by the playing of the church organ, and banging noises that had not been previously reported. 28. Locally, Rosamund Guy is known as the “Irby Boggle”, and is seen on the open land between Irby and the River Humber. She was betrothed to Neville Randall. One evening, on 1st November, 1455, shortly before they were to be married, the couple met at Irby Dale Woods. A lovers tiff built up into a violent quarrel, the result of which was that Neville Randall murdered his fiancée. 29. The River Goyt near Macclesfield is haunted by the ghost of a Cavalier, who was supposed to be the lover of Roundhead Henry Bradshaw’s daughter. Being discovered at the house, the Cavalier was killed and his body was thrown into the river. 30. The 14th century pub, Ye Olde White Swanne, Louth, is haunted by the ghost of a tall man, wearing a white cape. Until recently he was seen on frequent occasions, normally manifesting just before midnight. Are these the Most Haunted Places in the UK? 31. The ghost of a cowled monk has been seen for several years on the moors surrounding the village of Alwington, Northumberland, and is said to be a tall figure measuring some six feet in height. He is sad to have no arms, feet or face, and appears to hover slightly above the ground. 32. St Cuthbert came to Holy Island in AD 664, and it is thought that the grey-clad monk that is seen wandering among the rocks, and also walking down to the narrow causeway, is that of Cuthbert. 33. “Old Barbery”, sometimes known as “Silky”, because she appears in a rustling white dress, appears in two rooms at Denton Hall, Newcastle, although she has also been seen in other parts of the house. Described as being a “lovely girl”, it is thought that she was strangled by her jealous sister in the 17th century. 34. The Wellington Hotel is haunted by the ghost of Anne Armstrong, a local girl, the victim of a terrible revenge meted out on her by a witches’ coven. 35. Tom Hoggett, the highwayman, came to his end one stormy night when, pursued by officers of the law, he fell into a pond and drowned. The ghost of Tom Hoggett still patrols the Great North Road between Boroughbridge and Scotch Corner, a fast-moving figure in an ankle-length coat, carrying a bulls-eye lantern. 36. Close to Harpham Church, Yorkshire there is a well, known as the Drumming Well, because of the sound of the rolling of drums from it’s depths, thought to signify the imminent death of a member of the St Quentin Family. 37. The Fleece, in Elland’s Westgate, is haunted by the ghost of Leathery Colt, a peddler who was brutally murdered in an upstairs room at the inn. The sight of Leathery Colt driving his horses was seen as late as January, 1915, by a couple who were absolutely terrified by what they had witnesses. 38. Fountains Abbey near Harrogate was built in 1132, the sound of monks chanting has been heard many times during the evening, especially in the area of the Chapel of the Nine Altars at the east end of the church. 39. During the past few years, witnesses have seen a bluish-white figure, visible only from the waist upwards, plunging from the top of the 13th century tower of Spofforth Castle, Yorkshire. In October, 1969, a group of children on a school outing were horrified to witness this fall. 40. Scarborough Castle, Yorkshire is haunted by the ghost of Piers Gaveston, Earl of Cornwall, favourite and companion since childhood of Edward II. Gaveston was captured at the castle in 1312. He surrendered on condition that his life would be spared and that he would have a fair trial. However, on the journey to London he was beheaded at Warwick. He is said to have ever since enjoyed a vendetta against living people by lurking in the deep shadows of the castle walls and luring them to their deaths over the cliff edge to the sea, 300 feet below. Is this the Most Haunted Place in Yorkshire? 41. Nothing remains of Skipsea Castle in Yorkshire except for the castle mound and the ghost of Lady de Bevere, a lady who has been regularly haunting the site since Norman times. 42. 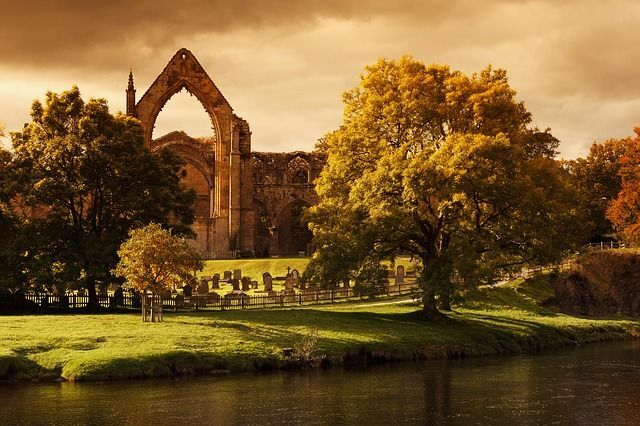 The remains of the 12th century Augustinian Bolton Abbey are haunted by the ghost of a monk who died a short while before the Dissolution. 43. One pleasant Spring evening in April, 1807, Hannah Grundy, a teenage fisherman’s wife, was walking along the beach of Staithes, when she bent down to look at something lying amongst the pebbles. Without warning, a sharp edge of rock, having been loosened by storms, fell and decapitated her. The ghost of Hannah Grundy still walks the beach at Staithes, a rather transparent figure, looking at the stones on the sea-front. 44. Near the remains of the Hadrian’s Wall, a phantom hunt used to be seen in the 19th century. It was said that the sight of the spectral hounds galloping past, terrified the local dogs and cats that much that they used to run for miles. 46. 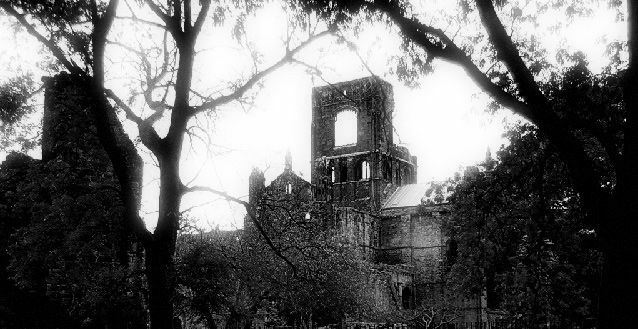 Rievaulx Abbey, near Helmsley has been bare for centuries, but bells are sometimes heard at night. A guest staying at a house in the district came down to breakfast and complained about the church bells in the middle of the night. 48. Goathland, Yorkshire the village in the TV series “Heartbeat” has many ghosts including the “Gytrash”, the ghost of tailor and a dead warrior. 49. The York Theatre Royal’s organ often plays in the middle of the night. 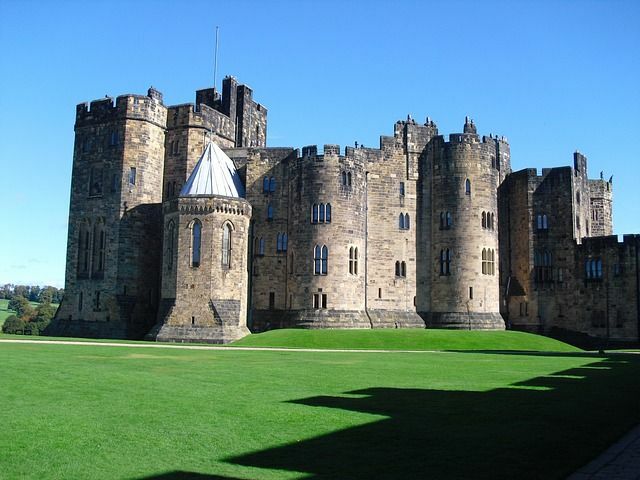 Often people complain about the mysterious noises, many believe that the Royal may occupy a monastic site. 50. Corpse Way, in Swaledale in protected by a spectral hound. The bodies of dales people were carried along the way for about 12 miles to the nearest graveyard in Grinton. The lane crosses the River Swale by a hump-backed bridge at Ivelet. A coffin-sized stone on the northern side of the bridge has the ghost of a black dog to protect it. The dog is said to herald a tragic event.